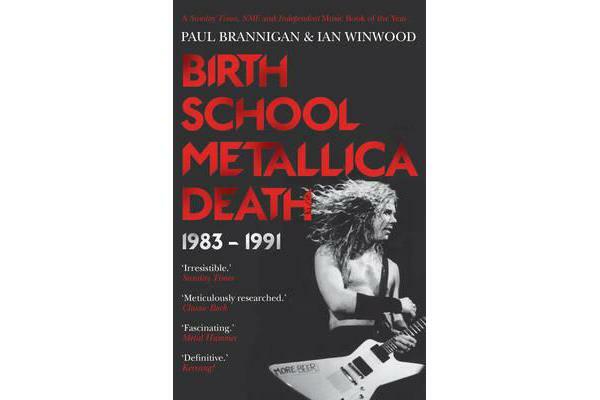 No music writers have been afforded greater access to Metallica over the years than Paul Brannigan and Ian Winwood, two former editors of Kerrang. Having conducted hundreds of hours of interviews with the band, they have between them gained an unparalleled knowledge of the group’s history and an insiders’ view of how their story has developed: they have ridden in the band’s limos, flown on their private jet, joined them in the studio, been invited to the quartet’s ‘HQ’ outside San Francisco and shared beers and stories with them in venues across the globe. There are countless memorable stories about the band never before seen in print, tales of bed-hopping and drug-taking and car-crashes and fist-fights and back-stabbing that occur when you mix testosterone and adrenaline, alcohol and egomania, talent and raw ambition. Perceptive, emotionally attached, and intellectually rigorous, Birth, School, Metallica, Death will be the essential and definitive story of this extraordinary band. Volume I takes us from the band’s inception through to the recording and eve of release of their seminal, self-titled, 1991 album.